“Russia is not the partner that NATO had been working with for the last 20 years” – said an official of the US Mission to NATO. Although the latest NATO - Russia Council meeting in Brussels acknowledged that the political dialogue should remain open between the two parties, there will not be a return to ‘’business as usual’’. “Russia is not the partner that NATO had been working with for the last 20 years” – said an official of the US Mission to NATO, during an event organized in Brussels focused on the Readiness Action Plan. The interview was conducted by Liviu Tatu. What are your expectations for the next NATO Summit in Warsaw in terms of reassurance strategy? Assurance measures under RAP have NATO air, land and sea forces operating and exercising in a persistent rotation along our eastern flank from the Baltic Sea to the Black Sea to reassure Allies that feel threatened and reinforce deterrence. These measures are designed to demonstrate that NATO's Article 5 pledge – an attack on one Ally will be considered an attack on all – is a rock solid guarantee. RAP deterrence measures have been in place for almost two years now and will continue for as long as necessary. In December 2015, NATO affirmed that all 28 Allies would sustain these assurance measures through 2016. On Feb 2, the President announced his FY2017 budget request for our European Reassurance Initiative (ERI), the U.S. contribution to NATO defense and deterrence, would be $3.4 billion - a 4-fold increase from FY2016. For the Alliance, this will increase the overall US Military Presence in Europe. I should note that this additional presence will be rotational and remain within the boundaries of the NATO Russia Founding Act. Leading up to the Warsaw Summit in July 2016 we will continue to evaluate NATO’s strategy, including the capabilities required for deterrence and defense, in line with the trends in the security environment. No one should doubt NATO’s commitment to defend all 28 Allies. How will the relationship with Russia evolve after the high level meeting of NATO in Warsaw? As we know, relationships can change. 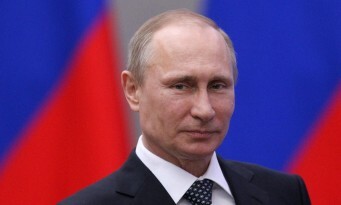 Today, Russia is not the partner that NATO had been working with for the last 20 years. That relationship was based on respect of the common values that Russia violated by their destabilizing and illegal actions in Ukraine. We would welcome a decision by Russia to rejoin the international community by complying with their treaty obligations and respecting international laws and norms. However, their actions must match their words. Could NATO Summit in Warsaw be decisive in terms of sending a strong message to Russia regarding Eastern Flank? NATO is a defensive Alliance; it is not “directed” at any state. Its sole purpose, as outlined in the 1949 Washington Treaty, is for collective defense and to preserve peace and security. No one should doubt NATO’s commitment to defend all 28 Allies. Russia’s aggression against Ukraine and the illegal annexation of Crimea violated numerous international agreements including the UN Charter, the Helsinki Accords, the Budapest Memorandum, and the NATO-Russia Founding Act. These agreements combined to stabilize Europe for decades. Russia’s willingness to use force to redraw sovereign national boundaries changed the security paradigm in Europe. At the 2014 Wales Summit, NATO leaders recognized that the Alliance needed to adapt our forces to respond swiftly to new security challenges and they adopted the Readiness Action Plan, or RAP. We expect that at Warsaw, leaders will address the changes in security challenges since Wales. 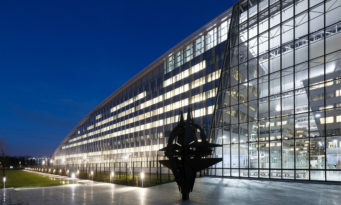 Do you think that ‎NATO should continue the open door policy with other countries? NATO enlargement – or “open door” policy -- is clearly outlined in Article 10 of the Treaty, so it has been NATO policy for over 67 years. To qualify for membership, a nation must share the same democratic values on which the Alliance was founded and must be able to contribute to NATO’s collective security. A nation’s aspiration to join NATO begins with a sovereign national decision, then membership must be agreed by a full consensus of NATO members. Since1949, the Alliance has grown from 12 to 28 democratic nations with the shared goal oaf securing a Europe whole, free and at peace. In December 2015, all 28 NATO Foreign Ministers agreed to invite Montenegro to begin the accession process to become the 29th member of the Alliance. As we have long said, the United States remains committed to NATO’s open door policy, and the recent invitation to Montenegro demonstrates that commitment. 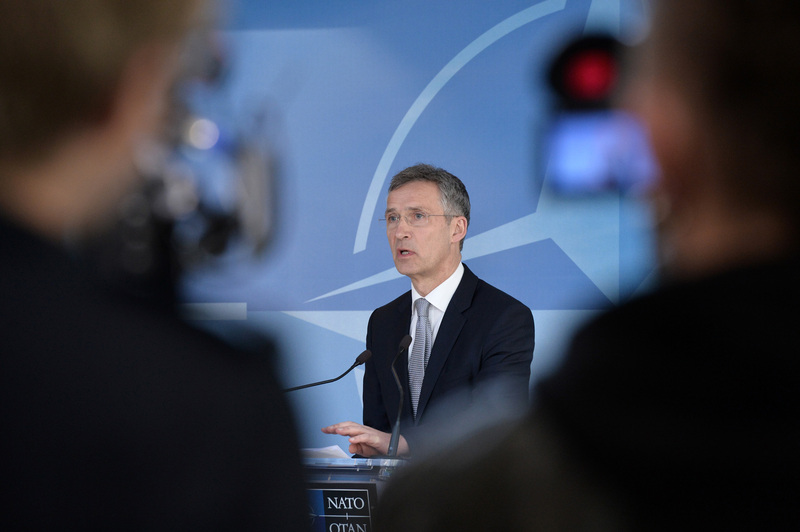 As Secretary General Stoltenberg said in making this announcement, “NATO’s Open Door Policy has helped to spread security, stability, and the democratic values for which the Alliance stands. We are stronger, more effective as an Alliance because our door has remained open.” NATO’s invitation to Montenegro is about NATO and Montenegro, not about Russia. 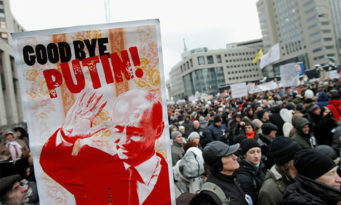 Does ‎Russia need NATO or does NATO need Russia? Or both? Could this relationship be restarted? The United States and NATO do not view Russia as an adversary. Russia’s actions over the past two years, however, especially the illegal annexation of Crimea and destabilization of the Donbas, demonstrate that Russia today is not the partner that NATO has invested in over the last 20 years. At the same time, I think there is a general appreciation that Russia will always be NATO’s largest, most powerful neighbor. While NATO rejects Russia’s actions in Ukraine, NATO also remains open to political dialogue with Russia beginning with the topic of Ukraine. Partnership is a two-way street and it is clear that today NATO and Russia are not partners. As agreed at the Wales Summit in 2014, the NATO-Russia Council remains a channel for political dialogue at the level of ambassadors. Following Russia’s illegal actions in Ukraine, NATO suspended practical cooperation with Russia, but left channels open for political and military dialogue. The NATO-Russia Council, which is the main forum for NATO’s political dialogue with Russia, has never been suspended. There have been two meetings in the NATO-Russia Council since the start of the crisis in Ukraine. That said, while Russia continues its aggression in Ukraine, NATO will not go back to business as usual with Russia. For years NATO and Russia engaged in deep and broad dialogue on a range of topics developed as partners. After Russia violated all international norms with its actions in Ukraine, such dialogue based on mutual respect for international norms is not possible. The NATO-Russia Council remains one mode of communication. We are discussing how we can use this tool, given the current circumstances. In the meantime, there has been consistent political engagement by Secretary of State Kerry, Secretary of Defense Carter, and NATO Secretary General Stoltenberg with Russian counterparts. 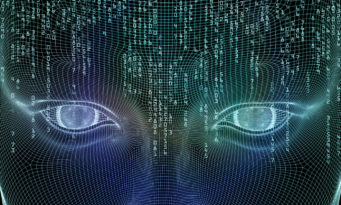 The content of this website is subject to copyright and cannot be re-published prior to consent from the author. This website is sponsored by NATO's Public Diplomacy Division.